Nissan Chip Keys and Proximity Keys. Waco Lock and Key can service all Nissan’s up to 2012 and includes remotes, smart keys (Proximity Key Fobs), mechanical keys and transponder chip keys. 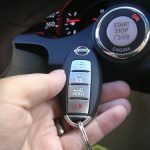 If your keys were stolen, we can cut new keys and reprogram your remote, so only you have access to you Nissan. If when you purchased your car it only came with one key Waco Lock and Key can cut and program extra keys and remotes. What is a Proximity key or smart key? The smart key allows the driver to keep the key fob pocketed when unlocking, locking and starting the vehicle. The key is identified via one of several antennas in the car’s bodywork and a radio pulse generator in the key housing. 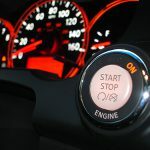 Depending on the system, the vehicle is automatically unlocked when a button or sensor on the door handle or trunk release is pressed. Vehicles with a smart key system fitted have a mechanical backup, usually in the form of a spare key blade supplied with the vehicle. Some manufacturers hide the backup lock behind a cover for styling. If you have any questions about your Nissan intelligent key please stop by any time during Waco Lock and Key’s business hours.